The first day of action in the Royal London One Day Cup sees six matches being played across the two groups as the competition gets going on a relatively busy day. The beauty of this competition is that in the early stages every match matters and that is certainly the case on Wednesday. This tournament is pretty fast and furious in terms of its length, with it all being done and dusted in five weeks so there is no time for any county to ease their way into the competition. One of the six matches is live on TV in the UK with some counties streaming the other games. Durham had a bit of a disastrous campaign in this competition last year, as did Northamptonshire, but one of them will get off to a winning start on Wednesday when they meet at the Riverside. The match of the day in this group comes from Old Trafford where Lancashire host Worcestershire in a clash between two teams who are genuine group winning contenders. The other match comes from Leeds where Yorkshire will take on Leicestershire with the White Rose side expected to get off to a winning starts. This is the group where the TV match comes from. It is a repeat of the final from last year as Kent take on Hampshire down in Canterbury looking to gain revenge for their Lord’s final defeat. Essex are in action on the opening day of the competition as well. They make the trip across the Severn Bridge to Cardiff to take on Glamorgan while in the other match Gloucestershire play host to a well-fancied Surrey outfit. I’ll go with a couple of bets as well as a top bat over the course of the day. There is no Chris Rushworth for Durham which instantly attracts me to Northamptonshire, although to be fair I had my eye on them anyway given the positive start they have had to the campaign. I saw an interview with Alex Wakely where he suggested his side were up for it this season and that certainly appears to be the case that is for sure. Durham haven’t really got going yet and I sense this isn’t their forte so Northants look an obvious pick to me in this one. Although the Canterbury pitch hasn’t been used yet this term I can’t believe it is going to be that bad that a runs line of 531.5 won’t be covered. I expect this to be a high scoring season and with the weather set to be excellent and this not being an early start I’m expecting the batsmen to dominate. If we were being picky we would like a slightly stronger Kent line up than the one that will be on show but there is still more than enough talent there. Hampshire are very strong with the bat and I expect this over to land. Someone has had a bit too much pop to be pricing Sam Northeast up at 6/1 to top score for Hampshire. Firstly he played on this ground for years so he’ll be the best judge of the wicket and the scoring areas and secondly he has started the season like a house on fire with a huge century in the opening Championship match and 99 in the second to follow on from a ton in the University warm up match. Northeast made 75 against his former employers in the final last season and I’m expecting a decent score from here at a good couple of points bigger than I’d have him here. 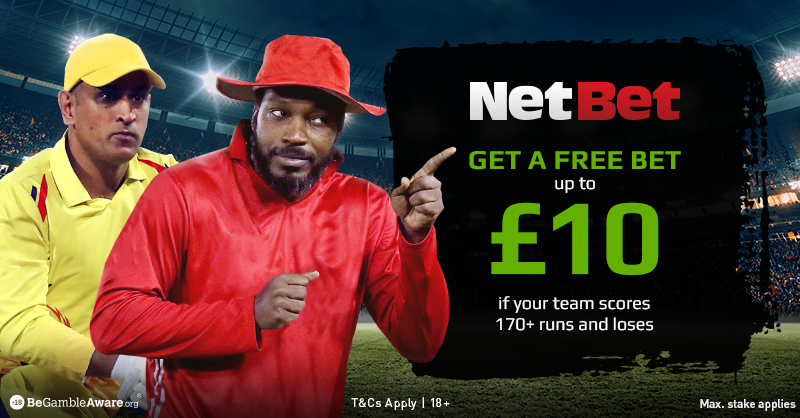 Be the first to comment on "2019 Royal London One Day Cup – Wednesday 17th April Matches Betting Preview"